The first battle is from 5-6 and features our own Sherri Stephens and Stephanie Harcharik vs. our own Board Members Nate Hovious and Jerry Justice. Stephanie wants you to know she and Sherri will be taking donations ahead of time as well, so as to crush their competition. 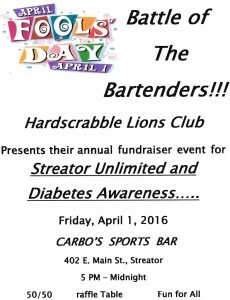 Thank you Hardscrabble Lions! 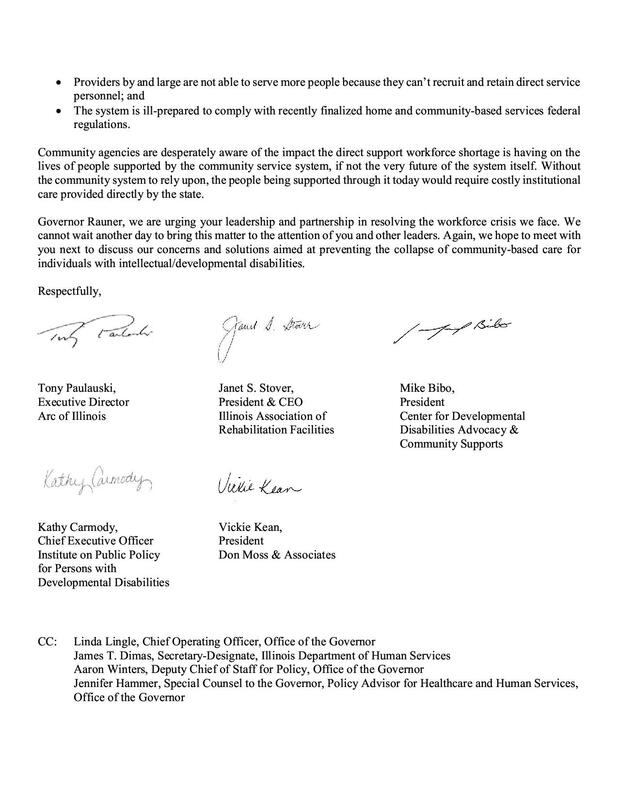 I’ts a very rough time for recruitment and retention of staff for those incredibly important direct care positions. The problem is state-wide. No increase in 10 years, plus cuts to our grants in the meantime, makes it hard to offer competitive wages. It’s unfortunate–we’ve lost staff who love our consumers and the work they do with them, but who need to make a living wage. There is a bill in the house at the moment to raise these wages to $15/hour. It is here. Eddie and Jimmie taking it easy. Dale cleaning up his room. We miss getting outside in the winter, but we find ways to enjoy our time indoors. 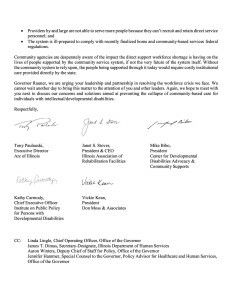 The Illinois United Way put out a survey of the impact of the budget impasse here in Illinois. Simply put, it has been horrific. As for the impact on SU, it has been thankfully minimal. Because of court orders we have continued to be paid for our services. The only thing that hasn’t been paid has been our janitorial contract at the Illinois State Police Headquarters in LP. We haven’t been paid since July 1 due to there being no state budget this fiscal year. We can’t imagine where we’d be right now were it not for the court order for our services. 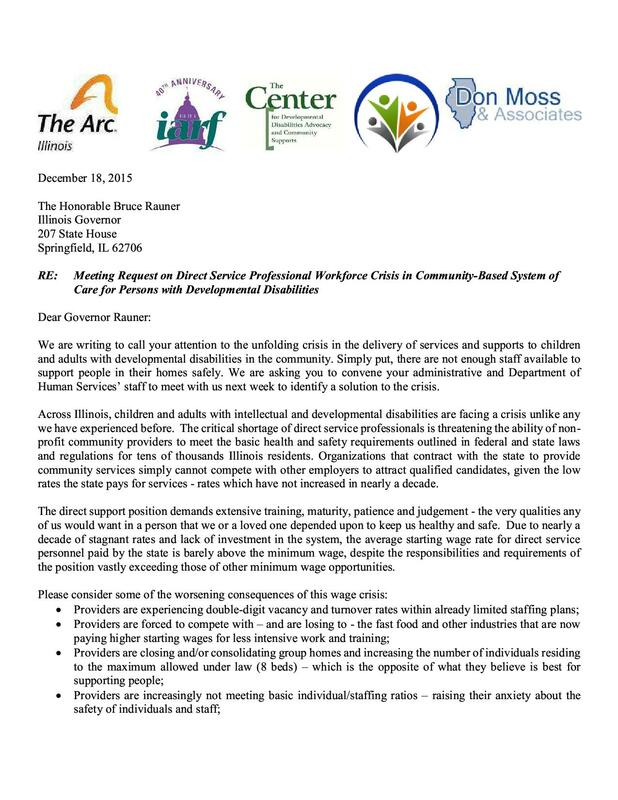 There are many agencies without court orders for their services and they are having a very difficult time. Separate from that, we desperately need an increase in funding. On the one hand, it seems crazy to say so at this time. On the other, we’re having trouble keeping up with salaries and expenses after ten years without any funding increase plus those cuts to our workshop grant. We having filled our last three day program positions that opened up and are not bringing workshop consumers in when there’s no work for them. 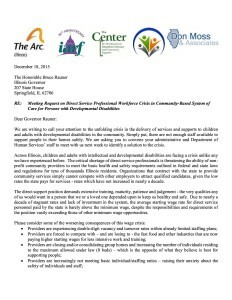 This is hard on them in terms of income, and hard on some families as they need to find supports for their child during the day. It’s always a fight to get funding for the good work we do and, the truth is, it seems like we’re always losing. Our last increase to help with Direct Care Wages was in 2007. We had a small increase in 2011, but tons more was cut when they eliminated Workshop funding. 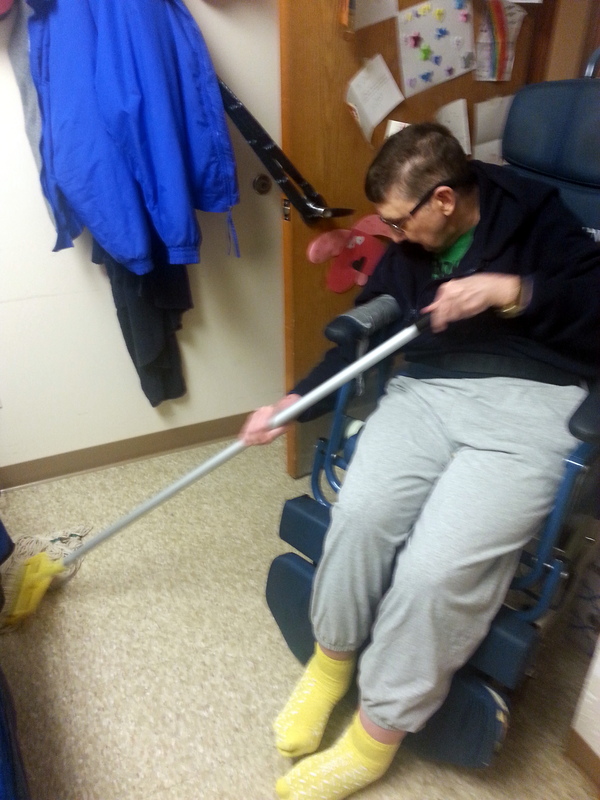 Back in 2007 SU was able to pay direct care staff $2.00/hour more than minimum wage. Now that is not so. It makes us sad to lose people who really love working here but can’t afford to. Costs keep going up for everything–our health insurance increase by 27% this year alone, and it has been increasing since 2007. We’ve worked hard to keep up our mission–lots and lots of community support and grants have helped. But, state budget crisis or no, we need some help from our main funder, and we need it now. 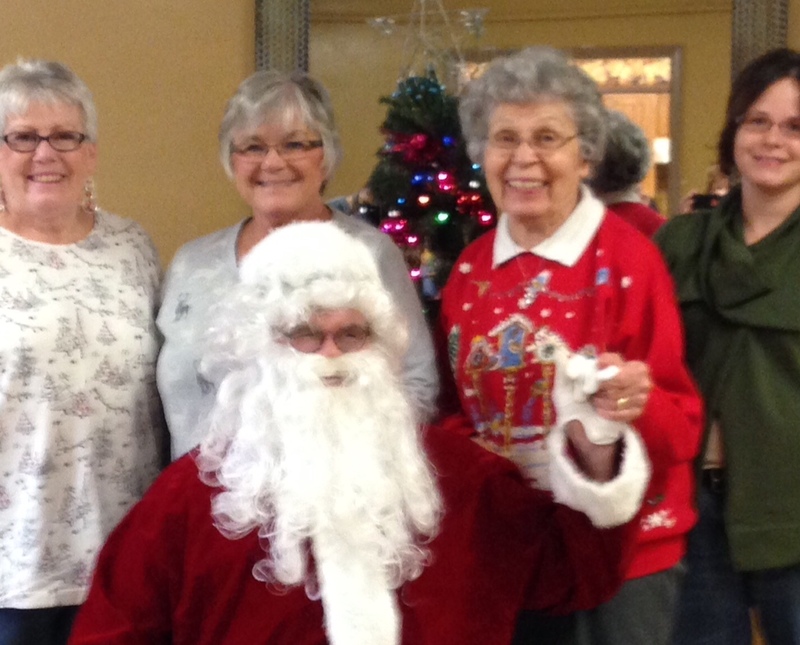 The First Catholic Slovak Ladies Association put together a wonderful Christmas Party for our residents yesterday. Pictured are Mary Ellen Lair, Jane Soltis, Santa Claus, Anna Mae Negray, Amy Strawn. They hosted a luncheon, played Holiday Bingo, sang Christmas carols, and Santa handed out gift bags for the residential program which included all five homes. Visit our Documents and Reports page to see our FY15 Annual Report. SU was mentioned in a state budget article. They mention the DON score. That doesn’t not have a direct impact on SU’s funding from the state. 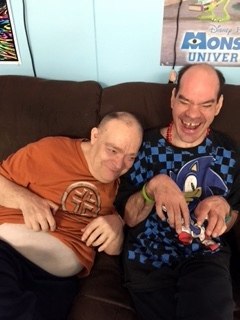 It does impact some of the people who live on their own or with family who receive services through the Division of Rehabilitation Services Home Services Program though. Still, we find this uncharted state budget territory to be nerve-wracking, even if we are getting paid for our services through court orders. 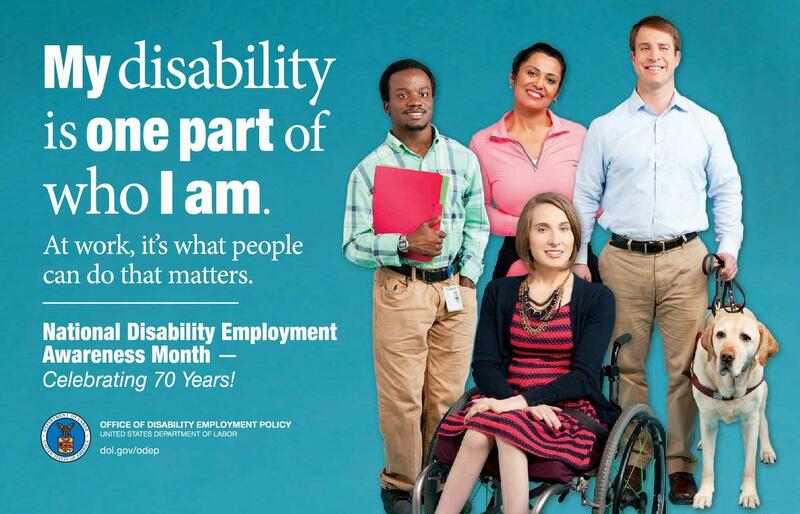 Happy October, National Disability Employment Awareness Month! 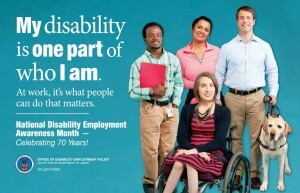 Work/Employment is a major part of what we do at SU. We have work on-site for our consumers in our workshop, from the powder coat paint line to washing totes to packaging and dip tubes. We support people off-site, at the LaSalle State Police Headquarters and US Foods. 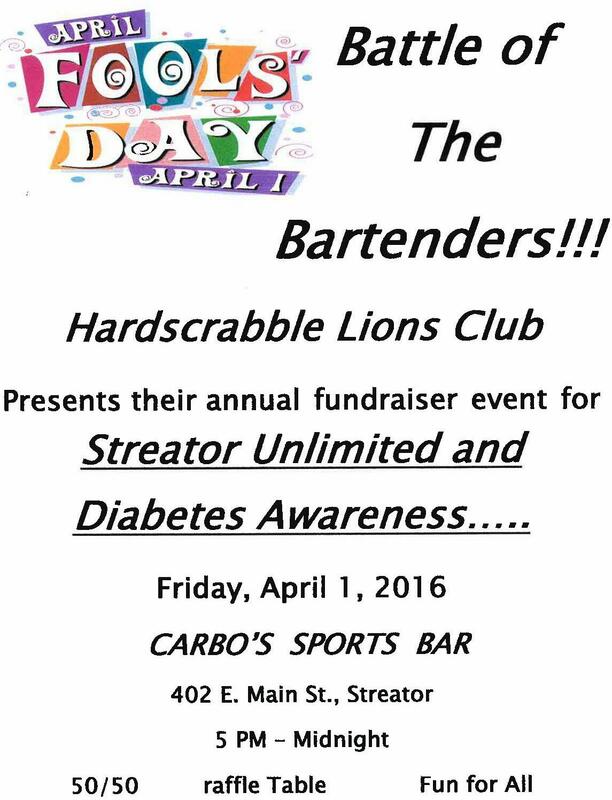 Consumers work in the community in a variety of Streator businesses. Take a look at our at our SUCCESS page and see what we can do for you! A nice trip to Spring Lake Park–check out the photos on our Facebook page. Another batch of jalapeno jelly made from our garden. Continuing preparations for Food for Thought. Looking at starting a car detailing business at the Streator Incubator. We got a new medium-duty lift van from a successful IDOT grant application. We moved one of our lift vans to Kent Street so that it would be easier for everyone to get out together sometimes. Work on the Illinois Street House continues…it was a slow summer for that, but things will be picking up now. We’re putting off a lot of purchases until the state budget shakes out (it will shake out at some point, won’t it?). Due to court orders, we’re getting paid, which takes a lot of pressure off, but they could still cut our funding retroactive to July 1 as part of a budget deal. We sure hope not–we’re not entirely sure how we’d be able to deal with that. We’re hiring evening/midnight/weekend residential positions.